Nutanix Community Podcast Episode 41 with Angelo Luciani. This week we take a look back at the .NEXT 2017 Keynote from Washington. Dr. Art Langer hosts an executive CxO panel discussion with some special guests. They discuss the business cases for cloud - build vs. buy. 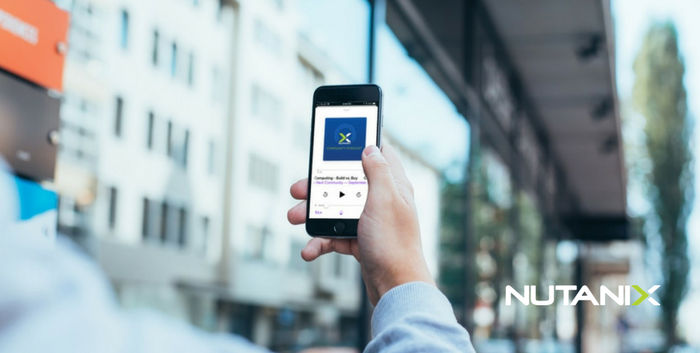 If you enjoy The Nutanix Community podcast, consider providing a rating and review in iTunes or your podcasting platform of choice. It helps people find the show easier and will help me make improvements in the series by seeing what you have to say. Subscribe to the podcast using iTunes, Stitcher or SoundCloud. Follow Nutanix on Twitter for news and announcements. See you next time!